YOUR NUMBER ONE SOURCE FOR THE TOTAL SOLUTION TO ALL YOUR ABRASIVE NEEDS. Norton is the world leader in the manufacturing of abrasive products for the industrial market. For applications from aerospace, foundry and gear grinding, to railroad, toolroom and welding, Norton industrial abrasive products are engineered to give you the best performance for your specific application. Classified in Good, Better, and Best performance/price tiers, we offer the most complete range of abrasive products for the industrial market. Coated abrasive sanding belts, sheets, rolls and discs, wire brushes, depressed center wheels, cut-off wheels, cylindrical and centerless wheels, mounted points, non-woven surface finishing products, diamond blades, diamond and CBN wheels, sharpening stones and more – let us help you choose the right product for your job. To verify the superiority of their products, Norton invites in-plant testing against any other brand of abrasive products, or lower performance tiers of their products. This makes it as easy as possible for you to see the time, labor, and money saving advantages of Norton products. You have absolutely nothing to lose and everything to gain by conducting an in-shop test. Norton is confident in the quality and performance of our products. We invite tests against any other brand of abrasive products so you can make your own judgment of the time, labor and money savings advantages of Norton products. Tests will be conducted in the users’ own plant/shop, on their own machines, using their own workpieces and supervised by a Norton representative. 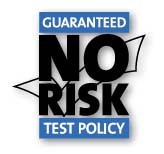 If the product tested is completely unsatisfactory, you will receive a full refund. If the product tested performs at a lower level than the product presently being used, you will receive an adjustment to make up the difference in performance. You are the final judge of performance.